FREE Demo on Locker Hooking Tomorrow! 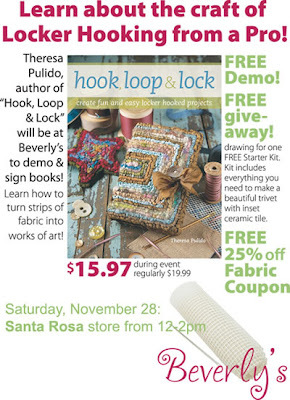 Come by Beverly's in Santa Rosa, CA for a FREE demo on Locker Hooking from the author of "hook, loop & lock" tomorrow. Look for more demos next week at Rocklin and Citrus Heights! 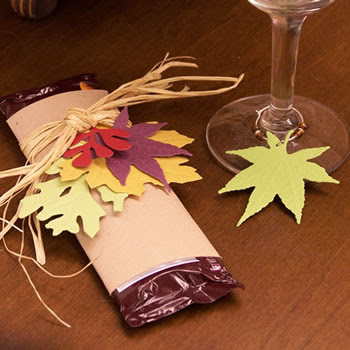 Here is a little something to put together quick for your Thanksgiving table using Nestabilities, Bazzill cardstock, raffia, wire hoops and beads! Voilà! Your table is ready to go, now all you have to do is come up with an awesome menu!